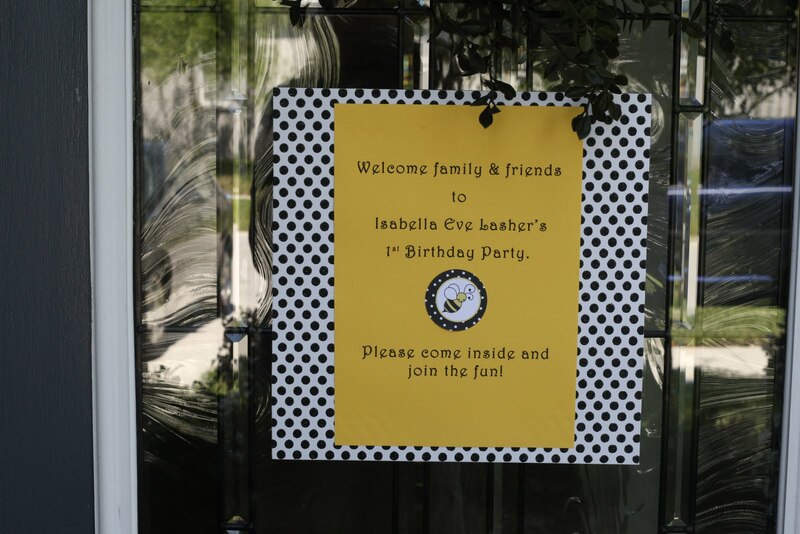 Life with the Lashers: Bella's 1st Birthday Party! 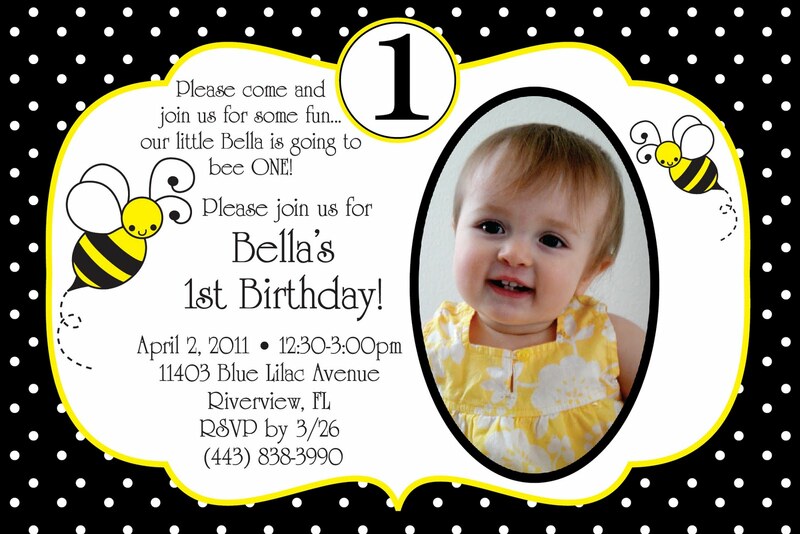 Bella is going to BEE ONE! 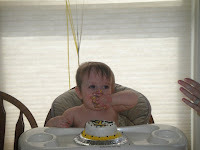 Today we celebrated Bella's birthday with our family and friends. After months of planning this special day went beautifully and we could not have planned a better party. We woke up bright and early this morning to get a jump start on the day. 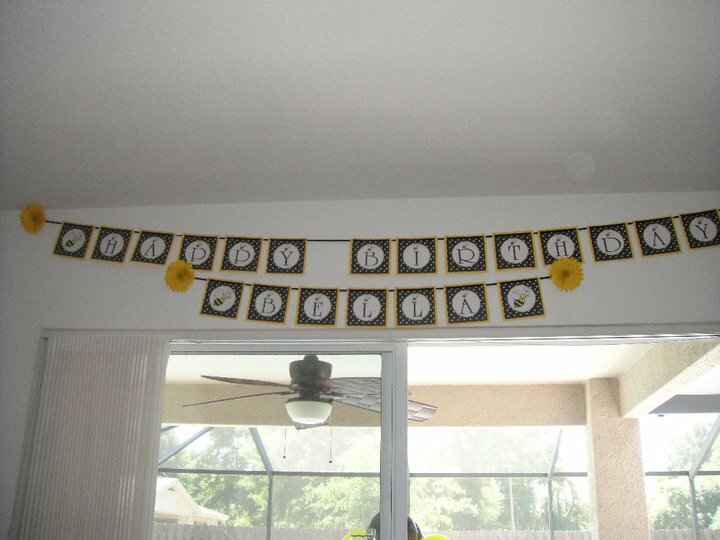 We had a few last minute errands to run, like picking up the food from Publix and balloons at Party City. 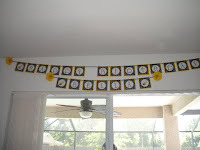 My dad and I ran errands while Ian stayed at home with Bella and finished up a few things around the house. 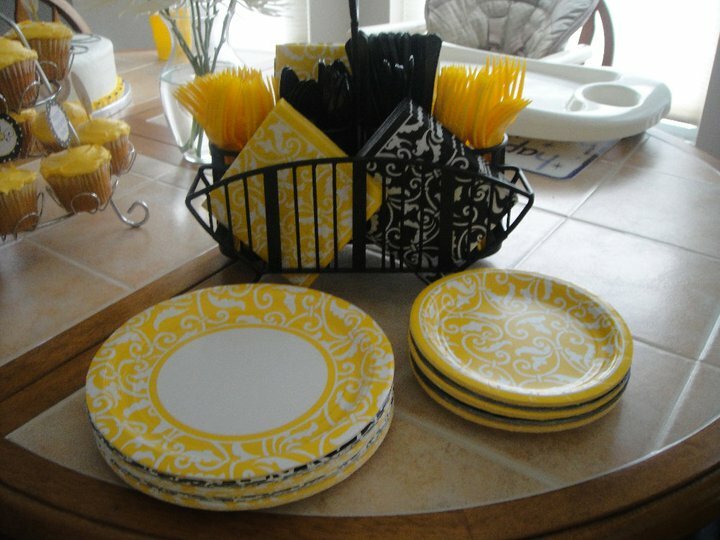 We ordered party platters from Publix because we were hosting nearly 40 people, including 10 children. 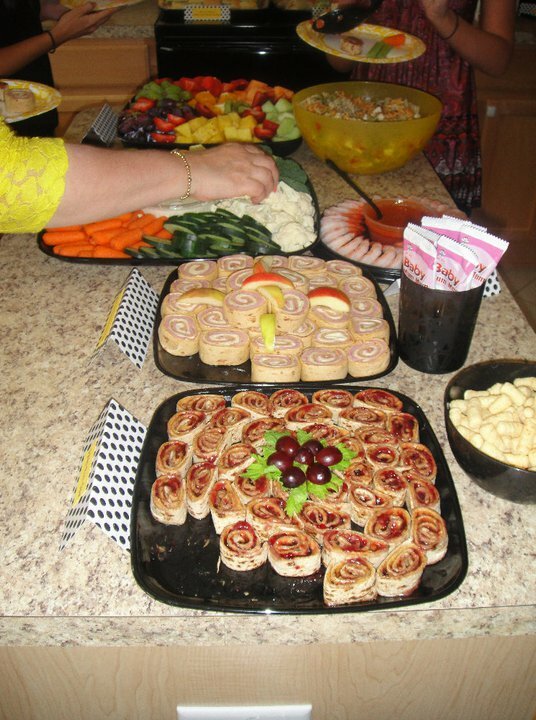 Subs, wraps, fruit and veggie platters and other snacks were served and everyone seemed to enjoy the food. 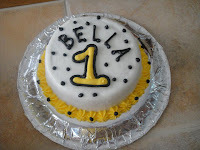 We didn't have to order a cake because our amazing neighbor, Sara, offered to make Bella's birthday cake and smash cake. 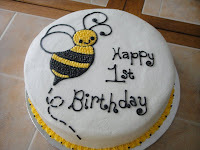 I left the design of the cake in Sara's hands and knew that it would turn out to be great. I was correct in my assumption because both cakes were absolutely BEE-autiful! 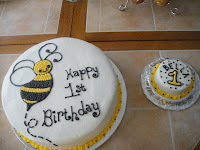 Not only was the cake beautiful, but it was also very yummy, too. Sara makes a homemade buttercream frosting that was so good and that's saying a lot because I'm not a fan of buttercream frosting! 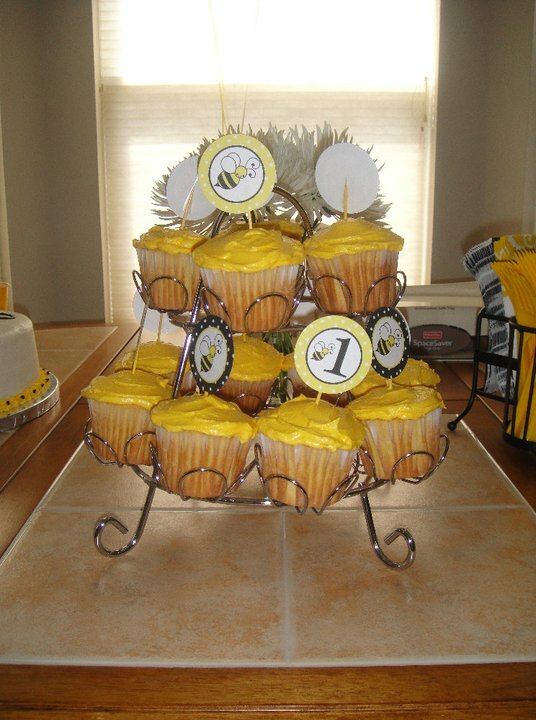 She also made a dozen cupcakes with the prettiest shade of yellow frosting! Thank you so much, Sara! Ian gave a speech and thanked everyone for being a part of Bella's life and then we sang her "Happy Birthday", which she loved and clapped for herself. 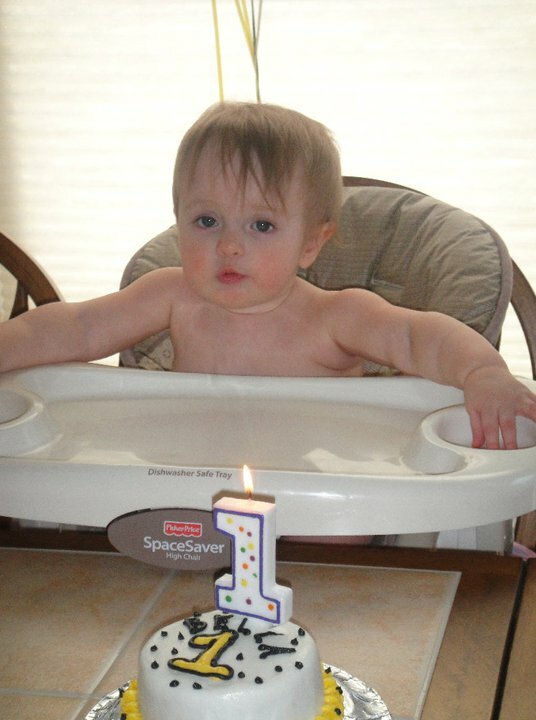 We stripped her down to nothing but a diaper and so she could eat cake in her birthday suit. 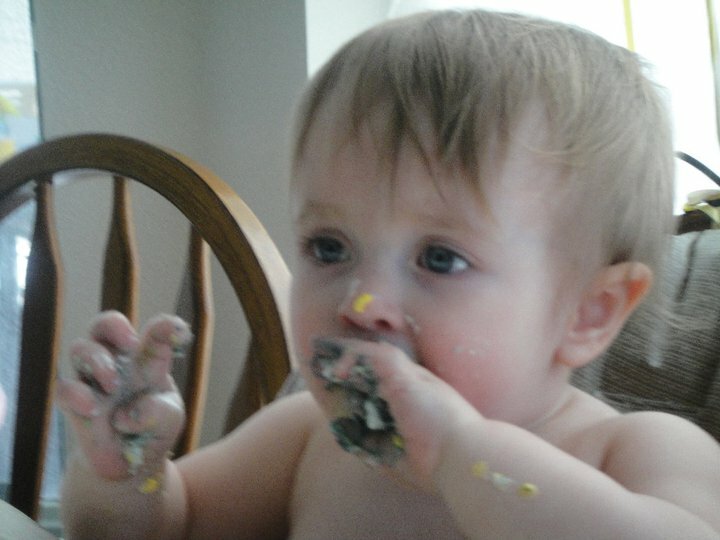 Bella then had the opportunity to live it up and make the biggest mess of her short, little life, but being the girly girl she is, she was very dainty in smashing her cake. She was adorable nonetheless, but it took a little coaxing to get her to get into smashing her cake. The black, yellow and white icing made for a messy clean up so we opted to give Bella a quick bath after the cake smashing. 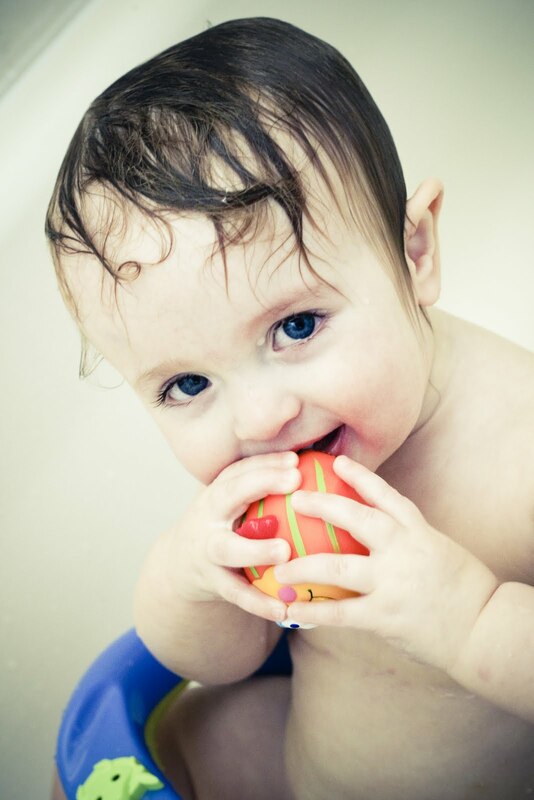 After a quick bath, we opened gifts and took a few family pictures with our good friend and hired photographer, Jessica. Bella wasn't really in to opening gift and after each gift, she wanted to play with the new toy, book or clothing she received. This child did not need any more toys, but she made out like a bandit. She received many great gifts and she was eager to play with her new toys. She played with her friends until it was time for everyone to leave. 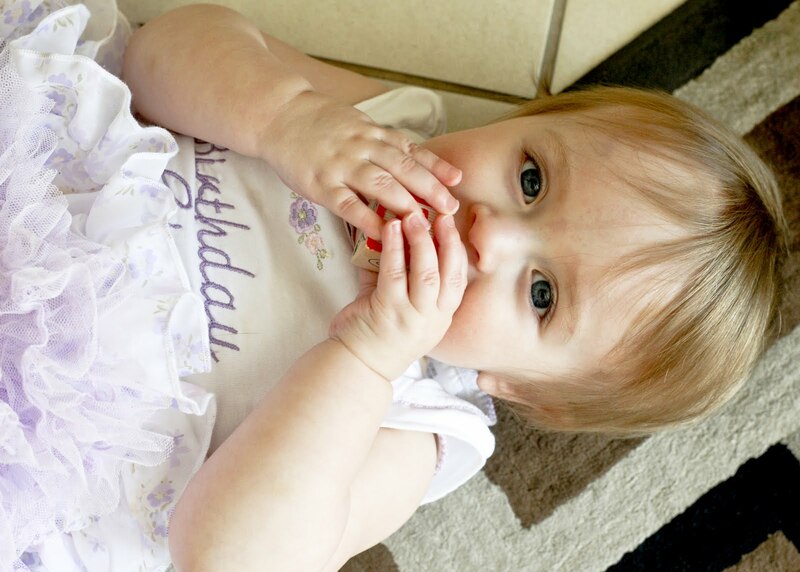 After a fantastic 1st birthday party, the birthday girl was pooped and went down for a 3 hour nap. We are very blessed to have such loving, caring and supportive friends and family. 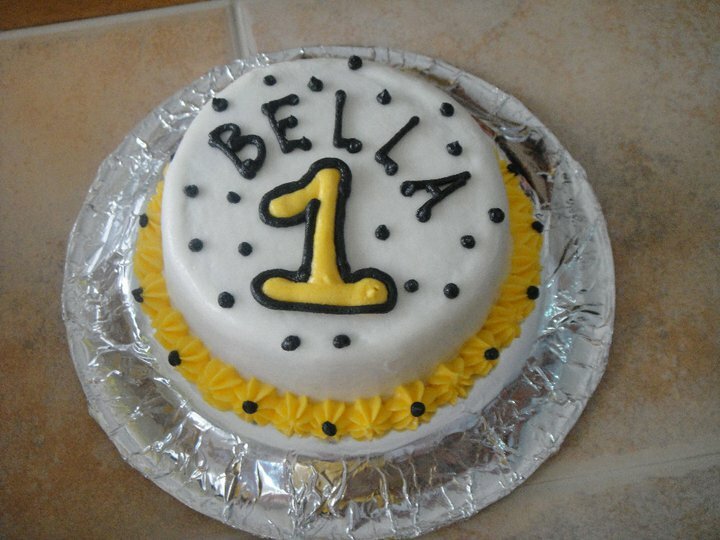 Thank you to everyone who laughed with us, cried with us and were there for Bella's first year of life. Bella is very lucky to have been born into a family with such a great support network. We wouldn't have made it through this first year without each and every one of you. We love you and we thank you from the bottom of our hearts. Even though Bella's actual birthday isn't until April 5th... 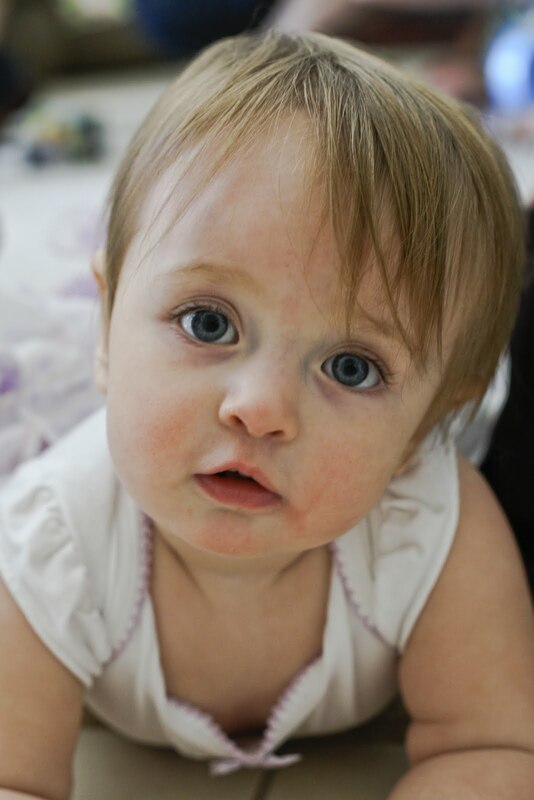 Happy Birthday Beautiful Bella!